Culture eats strategy for breakfast," says Karambir Kang of Indian (Taj) Hotels, who became a legend after the 26/11 attacks in Mumbai. Kang's is, perhaps, the most defining quote in Shashank Shah's 444-page seminal tome Win-win Corporations. At the start, the book, overweighed by pre-publication endorsements, could be mistaken for a treatise on Corporate Social Responsibility, now fashionably called Stakeholder Relationship Management. A few pages down, one thinks it is probably an Indian version of Tom Peters's In Search of Excellence and Jim Collins's Good to Great and Built to Last fused into one. However, after going past the somewhat stretched and self-congratulatory prologue, one realises its much wider sweep. 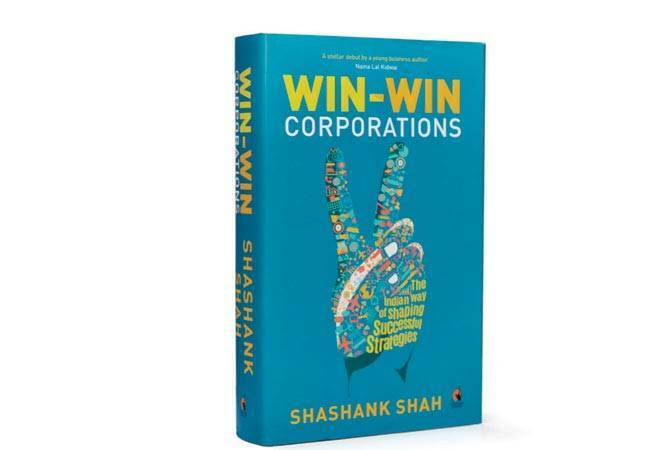 Shah's book, unquestionably a product of passionate and painstaking research, sits at the intersection of strategy, brand, vision and values. It is also about exemplary inspirational leadership. All these elements are tied together by the invisible and intangible glue called culture. The companies that finally made to Shah's shortlist have one distinguishing characteristic - they have all survived the test of time. The most interesting choice in the motley collection is Hindustan Unilever - a company this reviewer has been closely associated with for a long time. The selection can probably be explained by the words of one of its iconic chairmen, T. Thomas, who used to famously say: "We are an Indian company whose largest shareholder happens to be a multinational" (not quoted by Shah). Till the early nineties, Hindustan Lever (as it was then called) continued to remain fiercely Indian and popularly referred to as the "jewel in the crown" (of Unilever). The chapter on HUL deals at length with how the company reinvented itself to retain 'Day Zero' slots at management institute campuses, while many of its contemporaries faded into corporate oblivion. The answer, as you would guess, lies in its enduring professional values and culture. HDFC Bank is a fascinating story of value-based leadership and clarity of purpose. Though it has charted its future independent of the parent, it was founded upon one common family ethos - that of building and nurturing customer relationships. The bank benchmarked global best practices to be delivered in Indian conditions and at Indian prices. This called for customercentric innovation leveraging technology with significant shifts in the business model, such as from branch banking to core banking, in which the front-end staff focused on customer service, while the back-end handled the process. However, the real differentiator for HDFC Bank was "purpose-oriented banking" that sought to leverage emerging opportunities to empower urban and rural communities across socio-economic strata. Over 50 per cent of HDFC Bank's nearly 5,000 branches are located in semi-urban and under-penetrated rural markets contributing around 20 per cent of its revenues. At one level, therefore, the chapter on HDFC Bank is worth a read only for an insight into the leadership style of Aditya Puri. Puri, who does not carry a cell phone or wear a watch but leaves office at 5.30 pm on the dot everyday, has clearly made his place in the hall of fame of Indian banking. The story of Taj Hotels is like a romantic time travel. The Taj may not be the most commercially profitable hotel chain in the world, but in the true tradition of Indian hospitality it has never not looked at immediate returns while receiving a guest. This has, probably, been the secret of its longevity through ups and downs and in the face of competition from far more efficiency-driven international chains. This "Tajness" could not have been better demonstrated than during the Mumbai terror attacks. Similarly, the stories of Larsen & Toubro (L&T), TVS Motors and Bharat Petroleum contain many gems. TVS is a rare example where an Indian company has successfully used world-class quality and efficiency as an instrument of competitive advantage. Apart from the commitment of the top management, it also requires a deep understanding of the challenges of manufacturing sector employees to create a culture of perfection. There is a joke in the construction industry circle: L&T is the best example from the private sector of how a public sector corporation should be run. Beneath this lies a deeper truth that is captured in Shah's book. L&T combines its core competence in engineering and skill building to partner in nation building. In basing his research largely on company insiders past and present, Shah has, to some extent, fallen into the PR trap. Therefore, while the big hits have been diligently chronicled, some of the misses are conspicuous. Sometimes, mistakes hold more lessons than achievements filtered with 20:20 hindsight and packaged in fancy catchphrases. For example, it would have been interesting to know that HUL's foray into drinking water and Taj's low-cost brand were the brainchild of the same doyen - C.K. Prahlad, who was on the board of both companies. While HUL made a great business of Pureit, Taj's handling of Ginger was not such a class act. Similarly, he does not mention that HUL's Project Millennium, of which Pureit was a part, made many careers but most of the 20-odd business ideas it generated were buried without a trace. The quote from Cyrus Mistry on The Taj may appear a bit ironical today without any discussion on corporate governance (the book must have gone to press before the Mistry controversy broke out). However, there is also no mention of A.M. Naik's extraordinarily extended tenure at the helm of L&T. Shah's biggest achievement has been to make the book highly readable. Management lessons apart, he has the makings of a great business historian and biographer of business leaders. The reviewer is a marketing professional and leadership coach.